BERLIN – A Stephen Decatur High School sophomore will compete in Pennsylvania next month after being named a high point rider by the Interscholastic Equestrian Association. Whaleyville resident Olivia Brown, a sophomore at Stephen Decatur High, will compete in the Interscholastic Equestrian Association (IEA) Varsity Open Championship April 27 in Harrisburg, Pennsylvania. She was selected to represent Zone 3, which encompasses Virginia, North Carolina, Maryland and Delaware, after earning more points than any other rider in the region. “To receive high point rider in this zone is an amazing accomplishment, particularly for such a young rider,” said Brown’s coach.Hilary Gibbons-Neff. 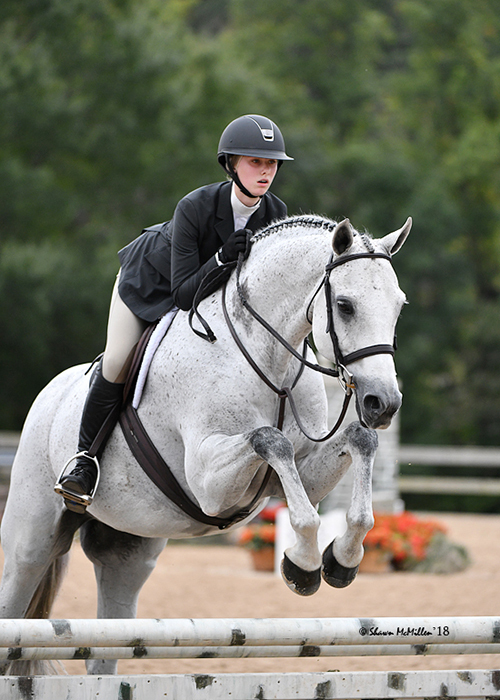 High point riders from each of IEA’s 11 zones will face off in the April 27 event. The championship will mark the culmination of the fall and winter show season, during which Brown competed in five IEA shows, the maximum riders are allowed to enter. 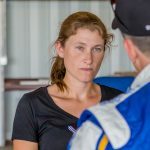 Worcester County Tourism Director and Brown’s mother Lisa Challenger, said what makes the high point rider title so exciting is that fact that Brown earned the most points in one of the most populated IEA regions. Brown, who has been riding horses since she was five, has been competing in IEA events since middle school. She currently rides for the Little Clovelly Farm IEA team out of Easton.